Trimcraft of Fort Myers has over 29 years of uncompromising craftsmanship and innovative design in custom stairway design, manufacturing and installation, along with custom built-in cabinetry. Feil, Inc. was founded by Gerald and Andrea Feil in 1998. Originally natives of Germany, Gerald and Andrea immigrated to the USA in 1997 and became citizens in 2006. After graduating school in Germany in 1976, Gerald learned the trade of hardwood floors. Gerald diligently perfected his skills as a carpenter, mastering the art of installing, sanding and finishing hardwood floors during his apprentice years in various specialized wood floor companies in Germany. 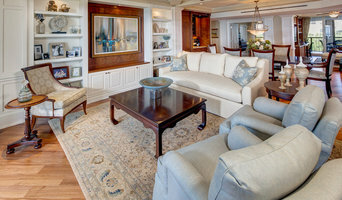 Feil, Inc. has been in business in Florida for over 17 years and have been serving the tri-county area with an outstanding reputation for timeless masterpieces and top-quality service. With hundreds of well-satisfied customers and an extensive reference list, we are, without a doubt, the #1 choice for your wood flooring needs. We carry the very best in hardwood flooring materials as well as a full line of certified and sustainable flooring products. We have a rich and diverse array of hardwood collections. 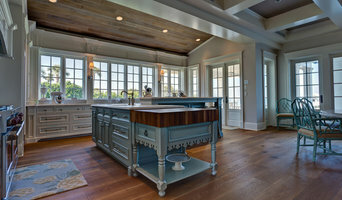 In addition, we specialize in custom floors as well as beautiful custom staircases and counter tops. 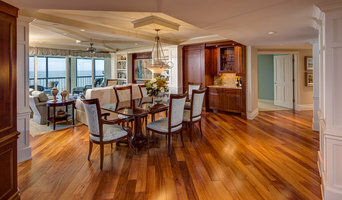 Our goal is to provide the luxury of hardwoods in the home. Let us help you enjoy that luxury in your own home. Handcrafted Stairs of Florida Inc.
Darryl Stiner has wide range custom design services, if you are looking to update your existing staircase or new construction. 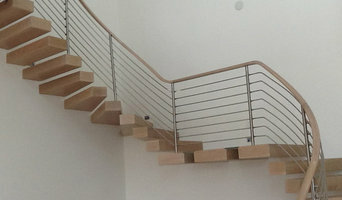 Over 20 years of experience in custom carpentry and staircases. A great plus having Darryl create your staircase is that Darryl is the only one working in your home that people trust and feel comfortable with who is extremely talented and professional. 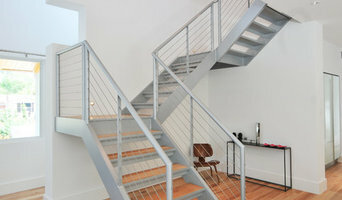 Florida Stairworks offers a variety of standard stair designs, while also specializing in custom profiles. Our design staff will create a product that fits your needs and wants. StairPartPros.com's parent company, Trimcraft of Ft. Myers, Inc. has been providing quality stairs and stair parts to Southwest Florida for 30 years. We have expanded our services to offer our great products, prices and customer service to everyone online. We have teamed up with Crown Heritage®, one of the nation's largest manufacturers of interior stair systems. With a rich history spanning more than a half century, Crown Heritage® is the industry's leader in technical installation developments; including the Crown System® and EasAlign". In addition to the unique styles, the beauty of our wood and forged iron stair collections makes our products the residential preference for builders and architects. Thirty years ago, when Trimcraft of Ft. Myers was established, our mission statement addressed one fundamental principle: "absolute customer satisfaction through an uncompromised standard of quality". This principle still holds true today. Through our alliance with Crown Heritage® we can provide our customers a broad product selection of the warm, rich hues of Cherry, Oak, Maple, Poplar, Beech, and Hemlock, in addition to other exotic hardwoods for that "perfect" staircase. StairPartPros.com offers outstanding craftsmanship and unique style which are the hallmarks of Crown Heritage® stair systems and stair components. ART Staircase & Woodwork, LLC. Stair building since 1987 first custom stairway in Naples in 1994. Stair Manufacturer, Stair Parts Supplier, Stair Parts Installer. Handiman services with some welding and fabrication of gates, fences and all security bars.